In 2012, 67% of Inuit children and youth aged 6 to 14 years felt it was very important to speak and understand an Indigenous language. A further 17% thought it was somewhat important. 31% of First Nations children and youth aged 6 to 14 years felt it was very important to speak and understand an Indigenous language. A further 35% thought it was somewhat important. 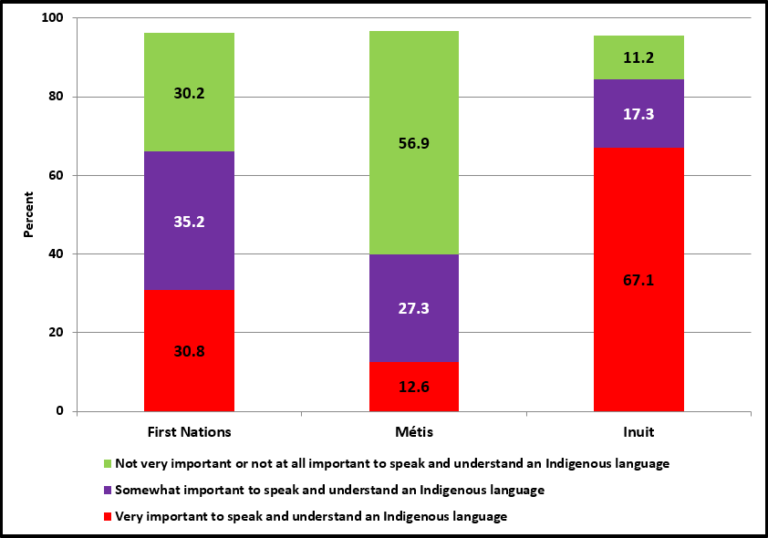 13% of Métis children and youth aged 6 to 14 years felt it was very important to speak and understand Indigenous language. A further 27% thought it was somewhat important.